I don’t know about you but I love Christmas movies. It’s my third favourite thing about the season. Christmas films bring such colour, cheer and charm the bleak days. Now I’m not sure if October was too early to watch Christmas film but the kids and I recently watched The Littlest Reindeer. The opportunity came up to review the DVD, so I went for it. The kids and I cuddled up with a snack to view it. The Littlest Reindeer is reminds us about the magic and spirit of Christmas. When Blitzen suddenly announces his retirement from the reindeer team, Santa needs to find a replacement, and fast! Against all odds, Elliot (Josh Hutcherson of The Hunger Games franchise) and his best friend Hazel Samantha Bee (TV’s Full Frontal with Samantha Bee) set out to prove that he is the little horse for the job. 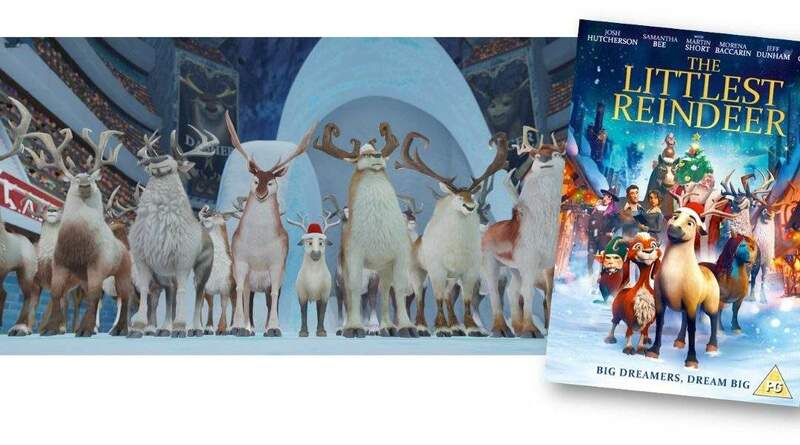 Busy with the North Pole reindeer try-outs, Hazel and Elliot don’t realise that a sinister lady (The Santa Clause 3: The Escape Clause) has turned up at the ranch and their friends are in serious danger. Elliot is forced with the biggest decision of his life: save his friends or follow his dreams and save Christmas! Eliot is the little reindeer who would. He wants to join Santa’s reindeer team. His bestie, Hazel, spurs him on, but a Scottish training horse, Peanutbutter (voiced by Jeff Dunham) tells him accept his station. Peanutbutter was clearly modelled on Braveheart and for that it felt like a betrayal of Braveheart. Nonetheless, Eliot defies the ‘sage advice’ and runs away with Hazel for the reindeer try out. All the while he worries about his back at the farm. The potential owner, The Meat Lady, has plans for the animals. Vegans, look away! Some themes younger viewers will not get. It felt as though they were crammed in to give the film depth and humour which grownups would enjoy. There were references to biological clock of one female reindeer, the great question ‘what’s the meaning of life, rising numbers of the world population and social media addiction for likes. The kids and I enjoyed The Littlest Reindeer. Val: When Eliot was practising to join the reindeer gang and he took a feel in the snow. It was funny. Angelo: When Eliot snuck out off the farm to try out for the reindeer team. Me: the messages of resilience ‘If it’s important you’ll find a way…’- Hazel AND having a goal having a goal ‘Big Dreamers dream big’- Eliot. 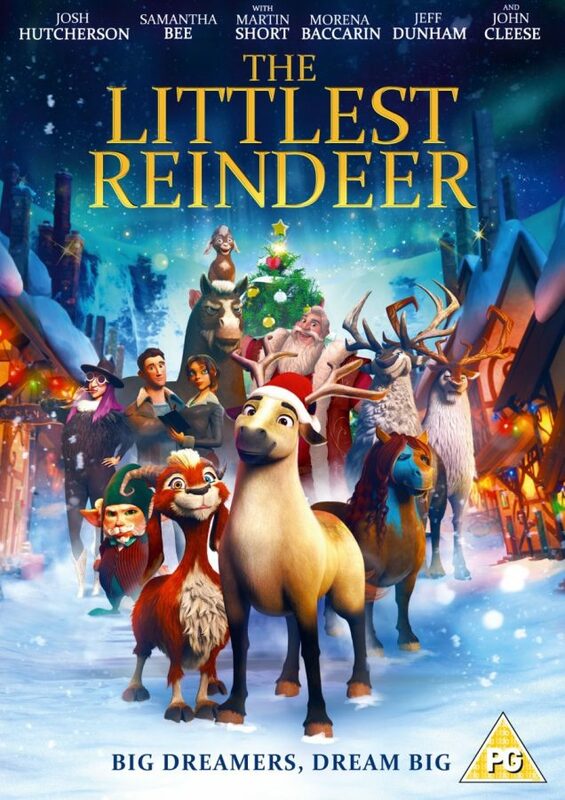 The Littlest Reindeer DVD is out now. I think it’s one to enjoy with the family this Christmas.